Christmas Year 1 at Chez PW is just around the corner and I've begun drawing up decorating ideas for our fireplace. 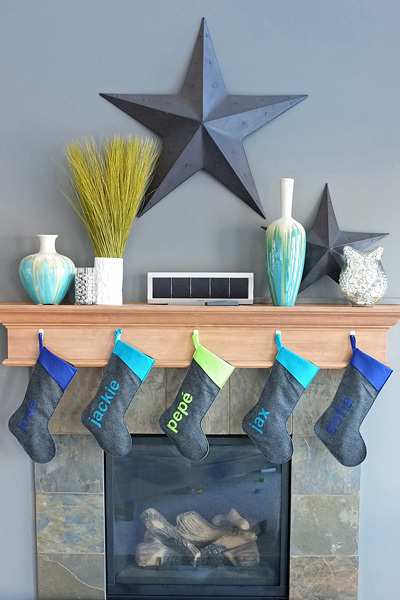 I'm looking to coordinate colours that match the rest of the room and I love this idea of making your own stockings. Hello! Welcome to my online journal. Here you can find me archiving daily finds, blogging about things on my wishlist, pretty pictures, adventures, and tutorials. All images and content (c) Pocket Wonders 2011-2015 unless otherwise stated. All rights reserved.